If you’d like to buy a Katy, TX home this spring, it’s a great season to do so! Mortgage rates are still low, but predicted to rise. Home prices are still going up, so buying sooner than later could save you money. More homes are coming on the market. The weather is great for house hunting. If you buy now, you’ll be settled in for a summer season of fun. The list goes on! As your Katy real estate agent, I am always here to answer questions, to guide you through the home-buying process, and to help you find the Katy home of your dreams! I am also here to provide helpful tips and information for buyers, such as the latest info on credit scores. Many Katy buyers are misconceived about what type of credit score it takes to purchase a home. Many don’t even know their credit score, but assume it’s too low to buy. Let’s take a look at the latest data so you can get a better idea of your options. First off, a credit score, also known as a FICO score, is a calculation of your history of paying back debt and making regular payments. The higher the score, the better your credit history. A recent report showed that 24 percent of renters think you need a credit score between 780 and 800 to be considered for a mortgage, which is a really high number. Fortunately, there are many other options, as only 25 percent of Americans have a score between those numbers. The Federal Housing Administration (FHA) requires a minimum credit score of 580 for low down payment mortgage loans. USDA loans usually require a score of at least 640. VA loans for veterans have no credit score requirement. The average credit score for loans closed in January was 726, but there were plenty of people with lower scores who were obtaining loans. The average score of closed FHA loans was 675. So, if you’ve got a low score, you’ve got options. But your best bet is to pull your credit reports when ready to buy, so you can find out exactly what your FICO score is. The average year-over-ear FICO score has steadily increased since 2009. The average score is 704. You might be pleasantly surprised when you pull your credit reports! If you’d still rather improve your credit score before buying, so you can qualify for better mortgage options, there are plenty of ways you can do so. Here’s a realtor.com article that offers many. The first step is to go through your credit history and make sure there aren’t any errors! Then, try some of their other tips. 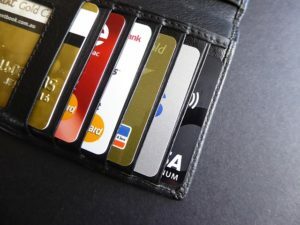 Even if you’re not ready to buy yet, these are great tips for anyone wanting to improve their credit, and it can be a slow process, so better to start soon. When ready to buy a home in the Katy real estate market, contact me, your Katy real estate agent! I am here and ready to help you with all of your home-buying and/or home-selling needs in Katy this spring. Spring has arrived in Katy, TX! The end of March and April bring Easter egg hunts, pioneer life, garage sales, family yoga and more to the Katy community! 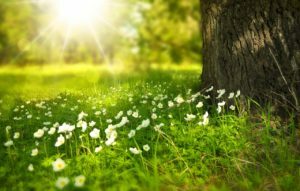 As your Katy real estate agent, allow me to fill you in on the details of some of Katy’s upcoming spring events, so you can plan your next month accordingly, and take advantage of all that Katy has to offer! 1. Cane Island’s Spring Community Garage Sale will take place this Saturday, March 30, from 8 a.m. to 12 p.m. If you’d like to participate, have your home added to the map no later than tomorrow, March 28. Otherwise, plan to attend to find affordable items sold by others in the Katy community! 2. Katy’s annual Folk Life Festival will take place April 6 this year at Kenneth D. Welch Outdoor Learning Center. Find out what life was like for pioneers of early Texas as you walk into the late 1800’s. Enjoy presentations and demonstrations on blacksmiths, bee keeping, solider reenactments, hand-quilting, soap-making and more. Enjoy farm animals, Native America culture, nature trails and more. Try calligraphy, pioneer games, archery, pottery and more. So many activities for everyone! 3. Sign your well-heeled dogs up for the Cross Creek Ranch Mutt Strutt on April 13. Activities will include a pup peanut butter eating contest, a Mutt Strutt fashion show, Houston Disc Dogs performances, a photo booth, pet adoption opportunities, dog trainers, bounce houses, games and more for all dog lovers. 4. Easter at the Ranch at Smith Ranch takes place the Saturday before Easter, so April 13 this year. 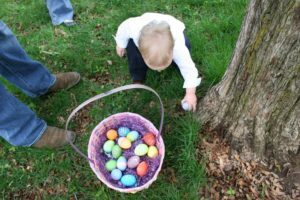 Kids can enjoy Easter egg hunts divided by age, photos with the Easter Bunny, bounce houses, paddle boats, petting zoo and more, and parents can enjoy adult beverages. 5. April 20, head to Rainforest Café at Katy Mills for their Cha! Cha! Egg-Cellent Easter Adventure. Enjoy breakfast with the Easter Bunny. Buffet will include carving station, waffles, omelets, French toast, etc. There will also be an Easter Egg Hunt and Easter Basket Raffle, and goodie bags for the kids. 6. Families can head to Cinco Ranch on April 22 for Athleta Mud Flower Yoga Family Fun Night. This is suggested for children ages 6-13 with a parent. Your family can enjoy a yoga class together, which will focus on cultivating joy and confidence while exploring postures and breathing. I hope you enjoy the month ahead in Katy! As your Katy real estate agent, I am always here and ready to help you achieve your Katy real estate market goals. So if you are planning on buying, selling or both this spring season in and around Katy, TX, give me a call! I can answer any questions you may have, and can guide you through the entire home-buying and/or home-selling process. I look forward to hearing from you! If you are a homeowner, or you’d like to become a homeowner in Katy, TX, what is your main reason? Turns out, there are many reasons why Americans become homeowners! It’s a very special day, the day you close on your home, and 64.4 percent of households in the U.S. celebrate that day each year, just as they would a birthday, anniversary, etc. If you’re not sure if homeownership is right for you, take a look at some of the perks that other homeowners mention, both non-financial and financial. As your Katy real estate agent, I am here to help you determine if homeownership is right for you, and if it is, to help you find the perfect home in the Katy real estate market to fit your needs! Homeowners have a stronger connection to their neighborhood and community, and become more involved and feel more included to their surroundings than renters. Homeownership is found to positively affect children’s academic achievements in school, especially in the areas of reading and math, for kids 3-12 years old. Homeowners are found to have substantial health advantages over renters. Homeowners have home equity credit lines available to them, so they are found to need less public assistance. This creates feelings of freedom and independent success. Homeowners improve and maintain their living space better than renters, which generates more safety and mental health. Homeowners feel a pride of ownership in having a home to call their own, and they can customize however they wish. On average, home prices are appreciating 3.6 percent annually, which helps create a financial safety net for homeowners. Your mortgage is like a forced savings plan, because when you sell, you get most, all or more of that money back! When you rent, you never see that money again. Homeowners build equity each month, which you can later use to purchase another home, to start a business, to send your kids to college, to travel, etc. This opens up more possibilities for you. Homeowners are found to have a net worth over 44 times greater than renters! A fixed mortgage payment brings stability to your finances, whereas rent prices increase 4 percent annually, on average. There are many tax benefits to homeownership, which you could qualify for by next year’s tax season if you purchase a home this year! For more information on all of these homeownership benefits, check out this KCM Crew article. If you have questions about homeownership, give me a call! If you are a homeowner, what would you say is the biggest perk of homeownership? Leave a comment and let us know! If you’d like to buy a home in the Katy real estate market and start reaping these benefits of homeownership, contact me, your Katy real estate agent. I am here to help you make your real estate goals a reality! 1. The Little Gym in Katy will host a Spring Break Camp from March 11 through March 15, from 1:15 to 4:15 p.m. each day. This is open to kids age three to eight who are bathroom independent. Titled ‘Warrior Pack,’ kids will make their way through obstacle courses fit for ninja warriors! They’ll build strength, agility and more while making new friends along the way. 2. If you love ‘The Addams Family’ movie, then you’ll love The Addams Family: A Musical Comedy, coming to the British International School of Houston in Katy March 21-23 at 7 p.m. and March 24 at 2 p.m. Watch your favorite characters in this quirky family come alive with song and dance. 3. The 2019 Katy Taste Fest will take place Saturday, March 23, from 11 a.m. to 2 p.m.! Head to Villagio Town Center for this family-friendly outdoor food fest. Make sure you arrive hungry, because some of Katy’s best restaurants will be serving up a variety of options for every taste bud. There will also be live music, cooking demos, beer and wine vendors for the adults, and a Kids Zone for the kids, complete with inflatables, face painting and more. Tickets are available to purchase ahead of time! 4. Coming up at LaCenterra this month is Mondays with Mommy on March 4 from 10 to 11 a.m., Cinema Under the Stars – ‘Star Wars: The Force Awakens’ – on March 16 from 7 to 10 p.m., and the Farmers Market at LaCenterra on Sunday, March 24, from 11 a.m. to 3 p.m. More information is available for each of these events on the LaCenterra website, but they are all great ways to meet others in the community while having fun! 5. Chick-fil-A locations in Katy have plenty of upcoming events to look forward to this March. Preschool Playhouse is March 5 and 6, with Paloma Trails Ponies, and Family Night is March 5, with Rodeo Night. Then March 19 and 20 is Preschool Playhouse again, with an Inflatable Carnival, and Family Night is March 19, also with an Inflatable Carnival. Enjoy your month in Katy, TX! If you’d like to make a jumpstart on your Katy real estate market goals, as a buyer, seller or both this spring season, give me a call, your Katy real estate agent! Now is the time to accomplish your real estate goals, before summer arrives. If you have questions about the local market, or aren’t sure how to begin the home-buying and/or home-selling process, we’re here to help. 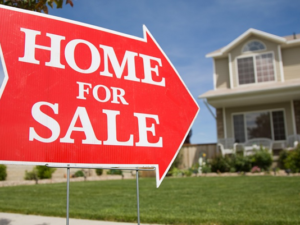 If you are ready to sell your current Katy home so that you can move up to your dream home, downsize or relocate, the thought of selling and buying simultaneously might seem overwhelming. However, as your Katy real estate agent, I am here to help you get it done! 1. Understand your local market. Contact an agent and discuss current market conditions. Find out if the market is more a seller’s market or a buyer’s market, and what homes like yours are selling for. This will help you determine when you should put your home on the market. If homes are selling fast, you might want to begin your home search first. If they’re taking a while, you might be safe to list and then search for a home, as other sellers will take you more seriously. 2. Consider an inspection and appraisal before listing. Getting these out of the way early will help you determine if any issues will come up in the home-selling process. 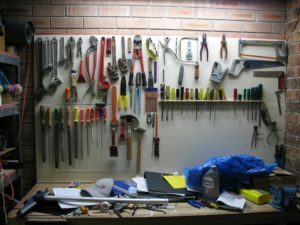 This way, you can make any repairs necessary, and price your home properly, so the sale of your home runs more smoothly. Also, knowing what you can get for your home will help you house hunt appropriately for your new home. 3. Plan carefully. Determine which order of things will work best for your schedule. If you sell first, it’ll make getting a mortgage easier. You might have to do it this way. But if you sell first, you may also need to find temporary living until you buy, so plan accordingly for that. If you buy first, moving is easier, but then you’ll have two house payments to juggle and possibly a harder time getting a new mortgage loan. 4. Have a backup plan. It’s important to plan, but it’s also important to realize that your plan might not go as you expect, as there are so many other people and things in the equation. No matter which way you hope things will go, plan for where you will live if you sell first unexpectedly, or come up with a financial plan if you buy first unexpectedly. 5. Know your financial options. If selling first, consider a rent-back agreement, where you can remain in your property in exchange for a lower selling price or rent paid to the buyers. If buying first, consider a contract contingency, which allows your new home purchase to be dependent on the sale of your old home, or a bridge loan, which allows you to own two homes simultaneously without a second down payment handy. Talk to your agent and lender about your options! Don’t let fear hurdle you into the unknown, unprepared. As a Katy real estate agent, I can help you sell and buy, and I can help answer all of your questions about the process and about the Katy real estate market. Don’t delay living the life you want! Give me a call and let’s get started! Many people find the winter months to be dull and drab, but they don’t have to be! As your Katy real estate agent, allow me to fill you in on fun events and activities taking place in the Katy TX area in the coming month. Katy is a wonderful place to call home for families, groups of friends and anyone looking for a close community with lots of fun options! This weekend, Feb. 1-3, head to Tompkins High School Performing Arts Center for a showing of ‘Once On This Island.’ A fearless peasant girl sets out to find her place in the world, guided by the island gods. Tickets cost $12 for students and $15 for adults. The Katy Half Marathon will take place this weekend, Feb. 2! 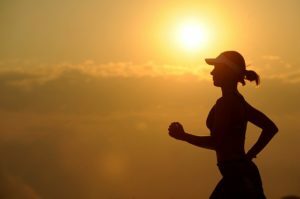 Running options include a kids 1k, 5k, full half marathon and half marathon relay, starting from Katy Mills Mall. Registration includes race bib with tag for accurate timing, race photos, finisher’s medals and more. You can still sign up! If you’ve been wanting to try goat yoga, this Saturday is your chance! Goat Yoga at Sunset takes place Feb. 2 at 5 p.m. in Katy. This is just like regular yoga, but with friendly goats wandering around you. Cost is $33 per person. The 2nd Annual Designer Purse Bingo is at No Label Brewing Co. on Feb. 2 from 5 to 11:30 p.m. Join them for Bags, Bingo & Bubbles while proceeds benefit Stuff the Sleigh! A limited number of general admission and reserved seat tickets will be available. The Little Gym of Katy is hosting their Grand Re-Opening and Birthday Party on Friday, Feb. 8 from 5:30 to 7 p.m. This is open to everyone. Enjoy games, activities, raffles, birthday cake, enrollment specials and more! Celebrate Valentine’s Day at Cane Island by attending the Couples Sushi Making Class on Feb. 16. They’ve also got a Chili Cook Off planned for Feb. 23 and a Movie on the Lawn Feb. 1 and Feb. 22. The Farmers Market at LaCenterra at Cinco Ranch is back once a month during the winter season! It takes place on the fourth Sunday of each month, which is Feb. 24 and then March 24, from 11 a.m. to 3 p.m. Stock up on honey, cheese, eggs, seasonal vegetables and more from local vendors. Every Monday, parents meet for a walk at Cinco Ranch Beach Club and walk 2.5 miles around the lake and neighborhood. They stop at Proud Pie for coffee and a snack. The trails are great for strollers or for older kid who can handle the walk. Mingle with other parents while getting exercise! Enjoy your month in Katy! When ready to accomplish your Katy real estate market goals, give me a call, your Katy real estate agent. Real estate doesn’t take a pause in the winter months, so why should your home-buying and/or home-selling goals? Give me a call now and you could be settled in by spring! If you’d like to sell your Katy home sometime this year, now is the time to consider whether any home repairs or renovations should be done. You may not want to spend money on improving your home right before selling it, but doing so could help you sell your home faster and for more money, depending on what shape your home is in now. As your Katy real estate agent, allow me to fill you in on what repairs or renovations are worth doing. While some could help you sell your home for a higher asking price, others won’t have that same effect. Not all upgrades are equal when it comes to ROI, or return on investment! Fixing flooring flaws – If your hardwood has scratches in it, your linoleum has stains or looks dull, or your carpet is ratty, outdated or smelly, this is definitely something that will quickly turn buyers away. According to NAR’s 2017 Remodeling Impact Report, homeowners will spend an average of $3,000 to refinish hardwood floors, but they’ll recoup 100 percent of that cost at resale. Repairing water stains – If you’ve got plumbing issues, you should definitely have those repaired, as they will come up in a home inspection. You should also take care of leftover water stains, as this may mislead buyers into thinking there are still issues, and they’re unsightly! Fix water-stained ceilings for about $670, and repair drywall for $1.50 per square foot. Touching up grout – Yellow or cracked grout will turn off buyers, and this is a simple way to improve the look of floors, backsplashes, bathtubs, etc. This is also one of the cheapest upgrades you can make, as re-grouting costs start as low as $1 to $2 per square foot. While these types of upgrades aren’t necessary before selling, unless your home is very outdated, they are great options for Katy homeowners who aren’t ready to sell yet, but who would like to in the coming years. Or, if your home does need an upgrade before selling, rest assured that these efforts will yield great ROI when you list in the Katy real estate market! If you’ve got questions about the market, or you’re ready to begin the home-selling process now, contact me, your Katy real estate agent! I am here and ready to answer all of your questions and to guide you through the entire process, until your 2019 real estate goals are a reality! Start 2019 with Fun Events in Katy, TX! Happy New Year from your Katy real estate agent! If 2019 is the year that you’d like to achieve your Katy real estate market goals, as a seller, buyer or both, I am here to help! Contact me anytime this year to ask questions about the market, or to begin the home-selling and/or home-buying process. 1. Enjoy free, family-friendly Bingo tomorrow, Jan. 3, at Growler USA. This is a great activity for winter break! Kid and adult prizes will be available for winners. It begins at 6 p.m. but usually fills up before that, so arrive early or make reservations ahead of time. 2. If you’ve got fitness goals for the New Year, Crossfit Annihilation in Katy is offering a lineup of free community workouts on every first Saturday of the month. This Saturday, Jan. 5, is this month’s free class, a gymnastics session for all levels. Class is from 10-11 a.m.
3. 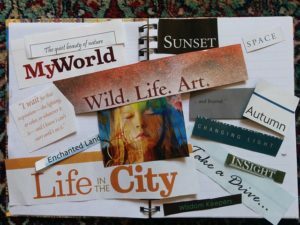 Make 2019 your best year yet by attending a Vision Board Workshop this Saturday at Zazen Wellness with Success Coach Erica Torres-Dudziak and Artist Nicole Bray. From 9:30 a.m. to 1:30 p.m., you’ll create a vision board with goals for this year, one that you can display proudly. Get tickets! 4. If your kids love Harry Potter, they’ll love the Magic Potions & Eruptions class taking place this Sunday, Jan. 6, at Funtastik Labs. This begins at 1:30 p.m. and is fun for ages 4-12. They can witness everyday compounds being combined to create awesome scientific reactions! Tickets cost $18 ahead of time. 5. On Jan. 18, head to Cane Island for a Movie on the Lawn. ‘Small Foot’ will be showing from 6-8 p.m. They’ll have popcorn and food trucks available. Bring lawn chairs or blankets to help you enjoy the movie. 6. The Spring Katy Home & Garden Show will take place Jan. 26-27 at the Merrell Center & Robinson Pavilion! This is a great chance for Katy homeowners to witness the latest home design trends, to gain inspiration for home improvement projects, and to meet local companies who can help. Lots of speakers and workshops available to attend as well. This list can get you started toward a great, fun year for the whole family in Katy, TX! Enjoy January, and when ready to accomplish your Katy real estate market goals, give me a call. Why wait? Now is a great time to sell, buy or both, and then you’ll be settled in for the rest of the year! As your Katy real estate agent, I am here and always ready to help you turn those real estate dreams into a reality. Happy New Year, I look forward to hearing from you! 1. Clean your kitchen appliances. Give your microwave a good scrubbing, especially if it is above the stove and acts as a ventilator. Use a degreasing spray on it, and on your stovetop, to prevent any grease fires. Clean the outside of the oven, but don’t use the self-clean cycle. This is hard on most ovens, and you don’t need that going out right before the big day! 2. Prepare your refrigerator. Go through your condiments and toss anything that is expired. Eat leftovers leading up to your big holiday gathering, so that there is plenty of space for appetizers, dinner and leftovers. Organize and clean, as lots of people will be going in and out of the fridge. 3. Prepare the bathroom. Clean, organize, declutter. Take everything off the sink that doesn’t need to be there. Then make a guest bathroom station with soap, lotion, extra towels, whatever you think a guest may need, so you don’t need to be bothered with these things on the big day. Keep a plunger and extra toilet paper handy as well! 4. Prepare the entryway. Outside, make sure your front porch light is working, and consider lighting your walkway, so there are no slips on your guests’ way in. Inside, remove clutter from your foyer and consider a welcome mat for shoes, a coat rack, a bench where guests can remove shoes, etc. 5. Child-proof the main living areas if you have lots of children coming. Move lamps, vases and other breakables from table edges. Block stairways to prevent falls. Purchase some plastic cups, or sippy cups, depending on the children’s ages. 6. Set up a drink station. Drinks are something that most guests can handle on their own, so one less thing for you to manage. If guests are staying with you, set up a morning coffee station. For the gathering, set up a counter or table for alcoholic and non-alcoholic beverages. Have glasses, an ice bucket, utensils, beverages, garnishes, whatever you feel the need to include! 7. Prepare appetizers and desserts ahead of time. Whether you need to cook or bake, or just set them up on a tray, do this before guests arrive to cut down on your to-do list. Consider a potluck too, so you have less cooking to worry about, and more merriment to enjoy! 8. Set up extra seating. Set up chairs where you hope guests will hang out. Face furniture toward each other, to create ideal social situations. If you need more seating, ask your guests to bring some chairs! The important thing is to stress less and enjoy more. As your Katy real estate agent, I wish you a happy holiday season! When ready to achieve your Katy real estate market goals in the New Year, give me a call! 1. Photos with Santa are taking place at LaCenterra at Cinco Ranch now through Christmas Eve! Check out his new set in Heritage Square from Monday through Saturday, 11 a.m. to 7 p.m., and Sunday, 12 to 6 p.m. Christmas Eve, Santa will be there from 10 a.m. to 5 p.m. There are a variety of photo packages available. 2. The Lone Star Symphonic Band will perform at the Holy Covenant United Methodist Church on Dec. 16 at 4 p.m. This will be a holiday concert titled “Great is the Glory” and will include many of your favorite holiday songs. Tickets cost $7 and can be purchased ahead of time online. 3. 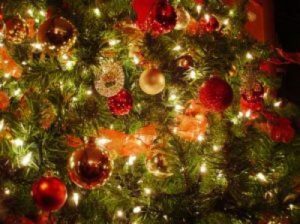 Christmas events fill the calendar at Chick-fil-A locations in Katy this month! Dec. 11 and 12, preschoolers can make 3D snowmen from 9:30 to 11 a.m. On Dec. 17 from 5 to 7 p.m., Family Night will consist of spending the evening aboard the Holiday Express. Everyone can come dressed in PJs and will craft an edible train, sip on chocolate milk and more. 4. Dec. 21, head to the Cinco Ranch Library for a Holiday Break Family Movie Night! Enjoy the classic Charles Dickens ‘Muppet Christmas Carol’ about Ebenezer Scrooge, played by Michael Caine, and joined by Kermit the Frog, Miss Piggy and the whole Jim Henson crew. Movie begins at 1:30 p.m.
5. Head to Houston for a theatrical performance this holiday season. This would make a great gift for a loved one, or just a reprieve from holiday stress! Coming up is Disney’s “Newsies” at Playhouse 1960, “Improv! The Musical” at CSz Arena, “Peter Pan” at Prohibition Theatre and more. Enjoy the rest of your festive season in Katy, TX! If selling and/or buying is a goal of yours in the Katy real estate market, add it to your wish list and then contact me, your Katy real estate agent! 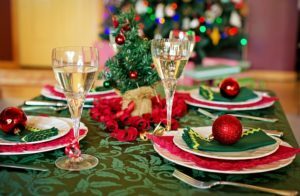 I am here to answer your questions and to guide you through the home-selling and/or home-buying process this holiday season or in the New Year. Give me a call when ready to begin! Katyites | Powered by © Katy Real Estate, Texas Real Estate - use Katyites Real Estate to find real estate in Katy Real Estate or other Texas real estate. Use our home buyer tools to research all aspects of the Katy Real Estate housing market including Katy Real Estate neighborhood information, Katy Real Estate home loans, and Katy schools. Whether looking for homes for sale in Katy Real Estate or Katy Real Estate apartments for rent, Yahoo! Real Estate can help. Our Katy real estate market snapshot gives you an overview of the housing market in Katy Real Estate, TX - easily find Katy Real Estate housing market prices, housing inventory statistics such as number of listings, median home price, home price trends, and monthly real estate market trends. Once you have a better sense for the Katy real estate market, search our Katy Real Estate foreclosures, Katy Real Estate new homes, Katy Real Estate classifieds, Katy Real Estate rentals, or all Katy homes for sale. From the award winning KatyISD school district, to the tremendous value in luxury homes in great family subdivisions like Cinco Ranch, Grand Lakes, Seven Meadows, Green Trails, Kelliwood, Nottingham, Windsor Park, Cross Creek Ranch, and Falcon Ranch, to world class hospitals and medical facilities that have the Katy area being dubbed "Med Center West"
While still having lots of amenities and wonderful school options. Developed by the same people who brought us Grand Lakes, Cross Creek Ranch has a wide variety of homes and prices. This community is an easy commute to I-10 and the Westpark Tollway. Kelliwood: Kelliwood is a beautiful group of subdivisions off S. Fry Rd. 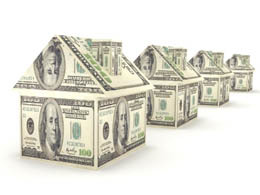 A wide range of homes and home prices can be found here. From Custom Gated sections like LakeForest that are comprised of all estate homes...to smaller patio homes that border the Willow Fork Country Club. The short commute times appeal to a wide range of buyers! Green Trails: Green Trails is a large Master Planned Community that borders I-10, S. Fry Rd, and Baker Rd. It is full of amenities for the family, is close to I-10 and the Houston Energy Corridor, and has a variety of styles and price ranges from small one story homes up to Custom Estates...no matter what you are looking for it will be easy for you to carve out your slice of Green Trails! Silver Ranch: A fairly new master planned community located in area that some folks believe is the best part of all of Katy Real Estate. Silver Ranch is only a short drive away from Katy Mills Mall and is located in the highly acclaimed Katy Independent School District. The community is approximately 3 miles from both I-10 and the Westpark Tollway. Lavish homes ranging from the $140's to $300's make the community very affordable for growing famililies or empty nesters. Silver Ranch is conveniently located for access to major employers in the energy corridor and has easy entree to South West Houston, Sugarland, West Park Tollway along with numerous park and ride bus lots that have express service to downtown Houston. When this community is completed it will be home to about 1,500 families. Amenities include Six Lane Jr Olympic Pool , Stone Grill Children's Splash Pad, Tennis Court, Playground and Swing Set, Outdoor BBQ Pavilion and numerous Walking Trails. Seven Meadows: Seven Meadows is a Master Planned Community that was developed by the same people who put Cinco Ranch on the map! It is located right off HWY 99 (the Grand Parkway) with short commutes to both I-10 and the Westpark Tollway. Pools, parks, a movie theater, work out facilities, and nature trails are all part of this great community! Katy is a city located in Harris, Fort Bend and Waller Counties in the U.S. state of Texas, within the Houston–Sugar Land–Baytown metropolitan area. The population was 11,775 at the 2000 census. Katy, suburb of Houston, Texas, is named for the Missouri-Kansas-Texas Railroad (commonly referred to as the "K-T Railroad", now a part of Union Pacific) that ran through Katy in the 19th century. Katy was once known as Cane Island. The name is derived from Cane Island Creek which runs just west of downtown. Cane Creek is a branch of Buffalo Bayou. The origins of the name Cane Island are believed to be from the fact that Katy was once a major sugar cane producer and rice producer. To commermorate the importance of rice to the Katy community, the Chamber of Commerce holds the Rice Harvest Festival every second weekend of October. Katy was recently the location of one of the ten large red balloons in the DARPA Network Challenge on December 5, 2009. The balloon was stationed in Katy Park. In 2009 the Gadberry Group named Katy as one of nine "9 from 2009" most notable high growth areas in the United States. After a low income apartment complex was proposed for development in an adjacent unincorporated area, in 2010 the Katy City Council passed a resolution stating that the development would decrease property values. The plans for the complex were canceled.